Marketing Optimizer is a marketing automation platform with lead generation and call tracking functionalities. Its features include solutions for A/B testing, email marketing, lead reselling, and more. In this article, we cover Marketing Optimizer reviews and pricing. Ready to get started? Request a demo. Marketing Optimizer pricing is based on four paid plans: Small Business ($249/month), Growth ($499/month), Established ($799/month), and Enterprise (custom priced). The main differences between the plans include the number of leads it can generate and the customization of the domain name. 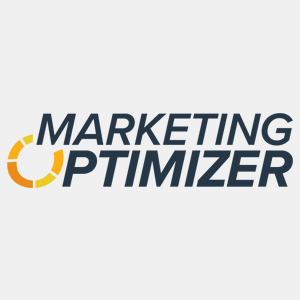 Users interested in annual subscriptions may get in touch with Marketing Optimizer’s sales team for a quote. Ready to get started with Marketing Optimizer? Request a demo. As of the date this article was written (March 27, 2019), there are no up-to-date Marketing Optimizer reviews online. If you are a past or current Marketing Optimizer customer, leave a review to help other business owners who are deciding whether or not to use the software. 15 Best Marketing Tools: Marketing tools can help businesses manage, strategize, optimize and automate their marketing endeavors from social media marketing to search engine optimization (SEO). In this guide, we looked for the best tools across all major marketing categories to find those that have the most features while being user-friendly and affordable, if not free. What payment methods does Marketing Optimizer accept? Marketing Optimizer accepts credit card payment for any of its plans. An invoice can also be issued for annual subscriptions. How many users can access one account? There is no limit on the number of users that can access an account. Subscribers may create as many accounts as they need, and they will not be charged additional fees for it. Have you read these Marketing Optimizer reviews and are still not sure if it’s the right fit for you? Read our reviews of all top marketing software providers or check out one of these three Marketing Optimizer competitors.